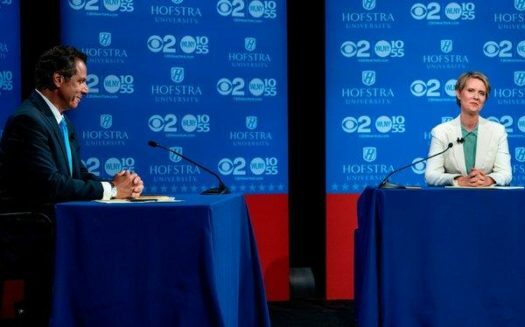 Governor Andrew Cuomo won against progressive-left challenger Cynthia Nixon in the New York gubernatorial primaries. While her loss could easily be read as sign off what’s to come for progressive dems in the 2020 election, things are not that clear cut. Progressive dems with platforms almost identical to Nixon’s have had great success in previous months. This June, Alexandria Ocasio-Cortez, one of Nixon’s most vocal endorsements, won the Democratic primary for New York’s 14th congressional district. Their campaigns were almost identical. Both advocated for change to current policy as well as large amounts of infrastructural investments. Yet, come election day one won and the other lost. The key difference was their competition. Cuomo is an incumbent up for his third term. He has long been a favorite of moderate New York democrats. Cuomo also invested tens of millions of dollars in his “Get Out the Vote” campaign, an amount unusual for Gubernatorial primaries and unattainable for Nixon’s campaign. A progressive dem backed by the DNC in a presidential race won’t have this issue, so Nixon’s loss isn’t really indicative of what will happen to progressive dems and the “blue wave” come 2020.